This was the second time travel book I read this week, which is odd because I don’t read many of those anymore. First off, I really like time travel books. Then I also really like books about ancient times. I also like mystery romance books, and books with a great cover. So this book had all the ingredients of a book I should LOVE. While I didn’t LOVE it, I did enjoy reading it. It’s a long book, but it never felt too lengthy or got boring. I thought the story was very interesting and moved at a good pace. The characters were well done, the writing was good…. Again, all the ingredients of a book I should love. I enjoyed the time I spent reading, though I’m not sure if I will read the next in the series. Overall, I did like it. 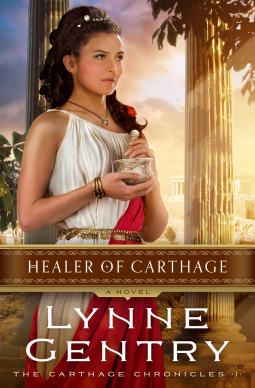 Thanks for taking the time to read HEALER OF CARTHAGE and give it an honest review, Katarina.